Lactate is often deemed as an evil substance that ruins workouts, leads to soreness and probably causes cancer (okay maybe the last one was a bit of a stretch but I wouldn't be surprised). However, lactate is actually not the culprit that many think it is and actually offers several benefits. So what is it? Why are people so afraid of it and how can we utilize it in training? Let’s start at the beginning. 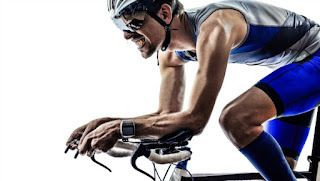 During high intensity exercise our bodies rely on the anaerobic energy system to produce energy (in the form of ATP), which utilizes carbohydrates as a fuel source. The more our bodies rely on this energy system (or the higher the intensity) the more we produce lactic acid as a byproduct. In a fluid environment lactic acid dissociates into lactate and H+ ions. When H+ accumulate they reduce the pH within skeletal muscle and the blood. When this happens, a lot of the enzymes, co-factors and other cellular mechanism that are responsible for the mobilization of substrates for fuel and muscle contraction are not able to optimally operate at their full potential because of the acidic environment. As a result, we have to reduce our intensity, which could mean slower our pace during a sprint, or not complete the last rep or two of a lifting session. So it’s not necessarily the production of lactate that causes the on-set of fatigue, as it’s really more of a biomarker that serves as an indication that we are relying on anaerobic metabolism for energy production. Further, by producing lactic acid (and eventually lactate) we “buy ourselves some time” as this allows our energy systems to continue working to produce energy. Otherwise certain metabolic pathways and energy systems would get backed up (for a lack of better terms) and completely shut down. Also, our bodies actually have the ability to oxidize lactate as a fuel source and even convert it into glucose to also use as fuel if need be. This is part of the lactate clearance process which subsequently keeps lactate levels at minimum levels as it is being produced. Eventually, these lactate clearance mechanisms become overwhelmed and lactate begins to accumulate within the bloodstream which often times is assessed and plotted to determine someone’s lactate threshold or in other words, the relative exercise intensity one can achieve before lactate levels begin to spike in a non-linear fashion. There is strong evidence to suggest that having a higher lactate threshold is actually more beneficial than having a high overall aerobic capacity in terms of performance capabilities. Essentially this means one would be able to train at higher intensities before suffering the consequences of lactate accumulation or more importantly the performance-limiting reduction in pH. 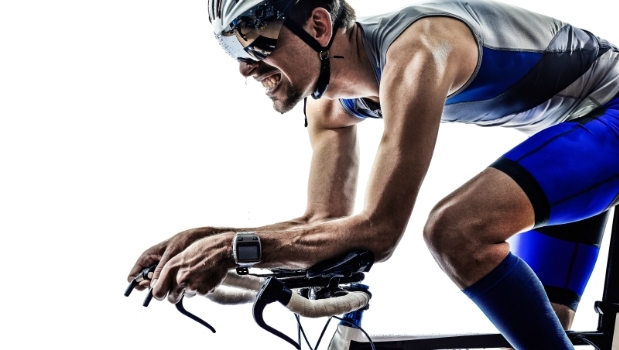 So how can we improve our lactate threshold? By training at varied intensities, particular ones at or even above our lactate threshold, we elicit several physiological adaptations that ultimately help to prevent the accumulation of lactate and buffer the reduction in pH during future training sessions. This allows us to maintain higher training intensities before the onset of fatigue. If applying this to a practical scenario, an 800m runner would be able to keep a faster pace throughout the event before the reduction in pH became overwhelming and they were forced to slow down. So in recap, lactate itself isn’t all bad as it can serve as a fuel source and it’s really more so the accumulation of H+ ions that is more detrimental to performance. For athletes, it’s important to incorporate different styles of metabolic conditioning into their programming to improve their lactate threshold.